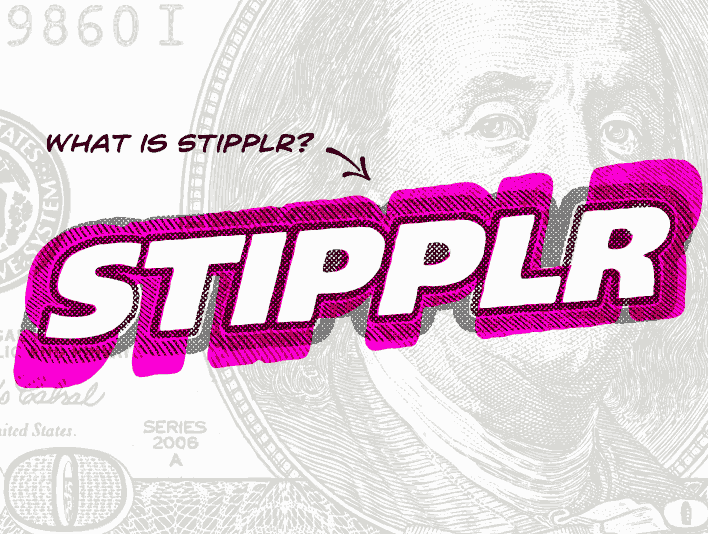 What is Stipplr? It is a rapidly growing collection of Photoshop Shape Actions which simulate various forms of graphic patterns and linework styles. Stipplr Actions act like image tracing presets for generating vector shape results from your sketched artwork or photographs. The purpose behind Stipplr is to quickly establish a multi-layered composition to kinda-sorta previsualize the destination before embarking on hours, or days, of manual pen-to-paper effort. 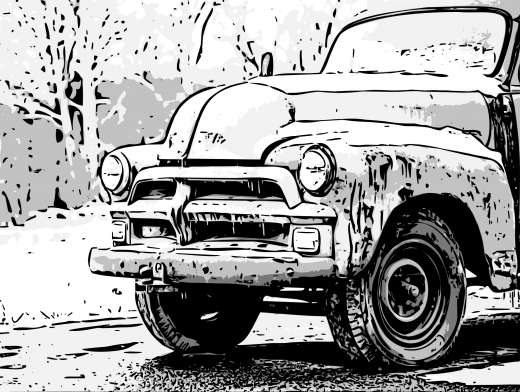 Stipplr Actions are not meant to replace the art of stippling or any other form of sketched linework, but there is no reason they cannot be used professionally. 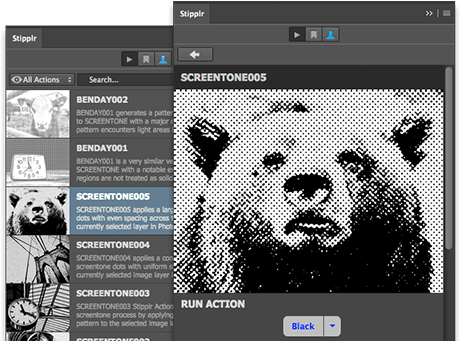 Each Stipplr Action is created to focus on generating a specific graphical result whether it be linework, halftones, tints, benday patterns, comic book explosions, engraving and so on. You will not be able to create a wonderful work of Pop Art using any single Stipplr Action, but used in concert with other Stipplr Actions you will be successful in creating many graphical styles — the tutorial section on this site contains many procedural examples. While you won’t find the word Stipplr in any dictionary which respects proper spelling, it nonetheless has a very similar context with the word stippling. 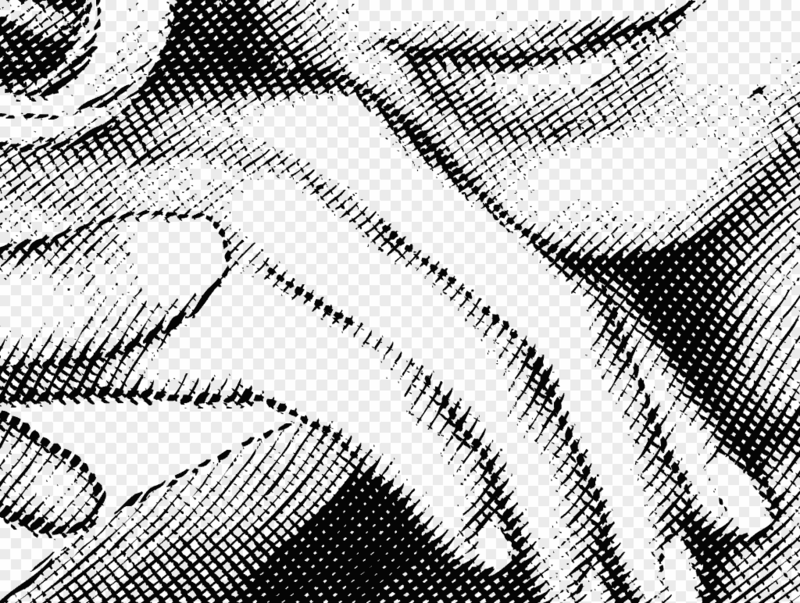 Where the word stippling defines a specific pattern made popular in the graphic arts, Stipplr Actions create stippling patterns as well as many others. It’s an activity most of us have done even if we were not conciously aware of it at any given time. For example, if you remember sitting in class daydreaming and repeatedly tapping your notebook with a pen or pencil then congratulations, you were stippling! 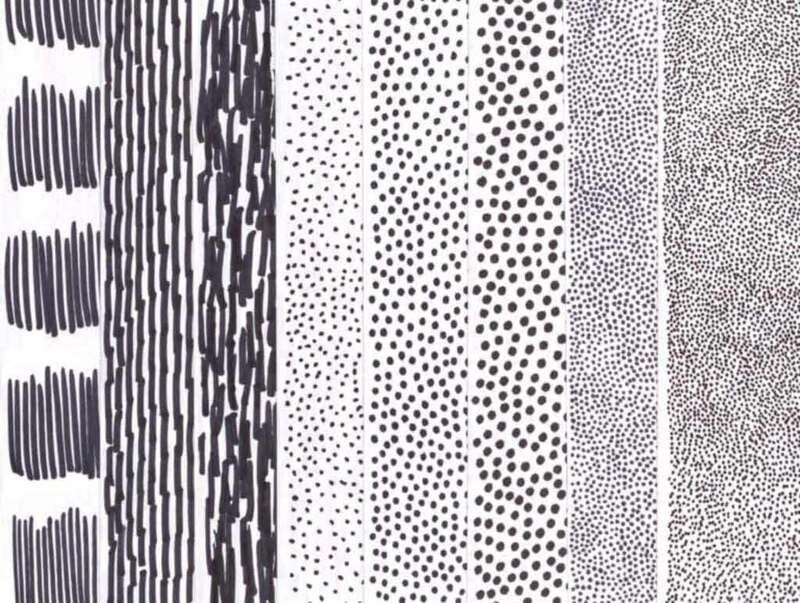 The stippling technique is any pattern which emerges when shapes are found in close proximity to each other in various quantities. Patterns can be created with various pen sizes and are not limited to dots even though, in my experience, most people tend to think of stippling as a pattern of dots. Each pattern above was manually created on individual 8in x 5in sheets of sketch paper then scanned in and prepared for this post (an effort that spanned almost 5 hours for a simple image…:P). The above image is an incredibly limited example of the stippling technique tapped out with a few felt tip markers. There are many other styles this site will explore over time to fill out the library, however, stippling is rarely used as the sole technique in sketches. Most artists, including myself, like to introduce other styles such as etching, hatching, linework and other drawing techniques into the sketch to emphasize various areas — Stipplr Actions, therefore, will not be limited to stippling. 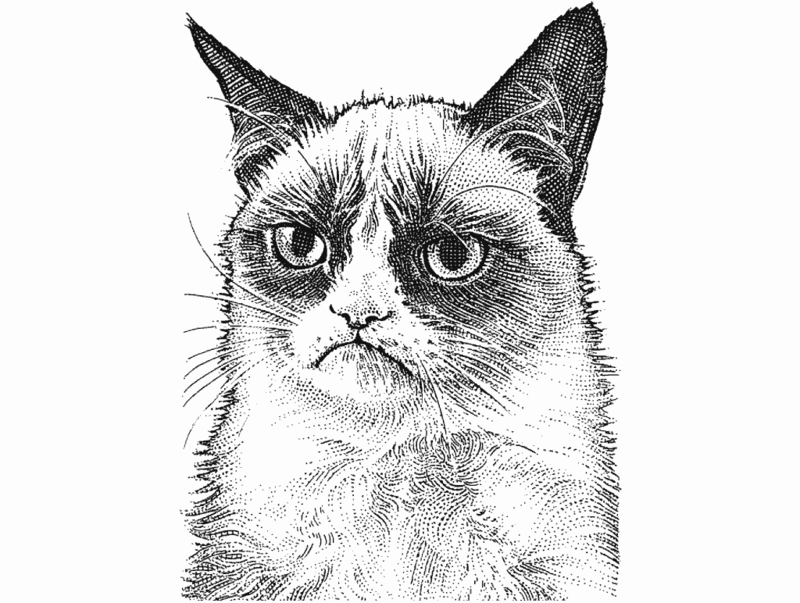 Yes, the image above is that Grumpy Cat. 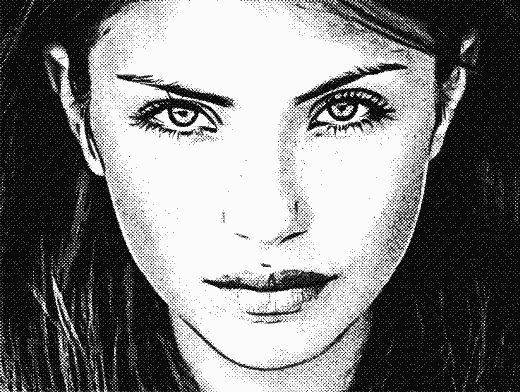 While entirely valid as stipple art, multiple techniques other than just dots are employed in this hedcut such as solid line work, hatching, cross hatching and non uniform dot widths. Another technique used is engraving, and while the engraving lines are not drawn as solid paths, the stippled dots follow along the engrave paths. 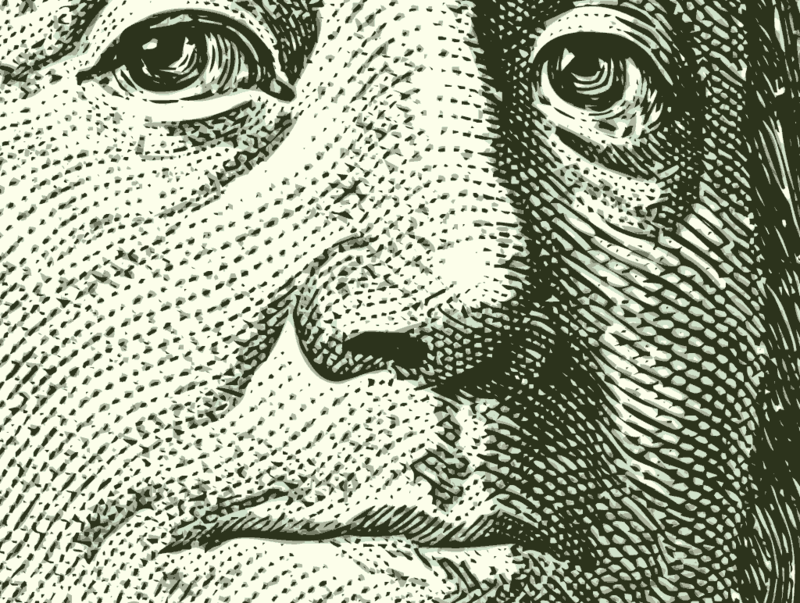 The hedcut style, developed by Kevin Sprouls during his time at The Wall Street Journal, is meant to invoke the engraving patterns used in American currency. I love stippling, etching, cross hatching, creating halftones and screen tones but these can take some serious dedication and effort to complete. It was only recently that I started experimenting with Actions that could generate the various graphical components required to achieve a specific result. Stipplr Actions are the direct result of my own needs to visualize a potential sketch design quickly, and prior, to putting a felt tip marker to paper for hours on end. I now use them on a daily basis in my design work and continually add new Stipplr Actions as the need for new patterns arise. 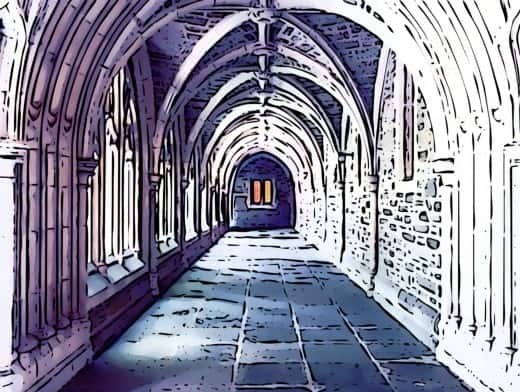 With that aside, lets take a look at some results that can be generated with Stipplr Actions. Stipplr Actions do not process the colour white found in your Photoshop source image because Stipplr generates vector shape layers as the end result — therefore what was previously solid white is now fully transparent making compositing very easy. 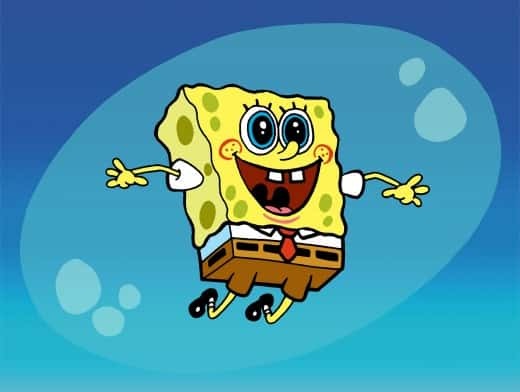 The stipple result above is made from 4 Stipplr graphic vector shape layers. The following result was also created within 15 mins and is also composed of 4 vector shape layers from the STIPPLE, ENGRAVE and OUTLINE series. And finally, to drive the point home, all results are vector shapes — details remain sharp when the image size… is increased. About that Franklin 100 US bill used earlier in this post, also used as the backdrop to the featured image, here it is after being processed and composited using 5 different image tracing Stipplr Actions from the STROKE series which can be found in the LINEWORK category. 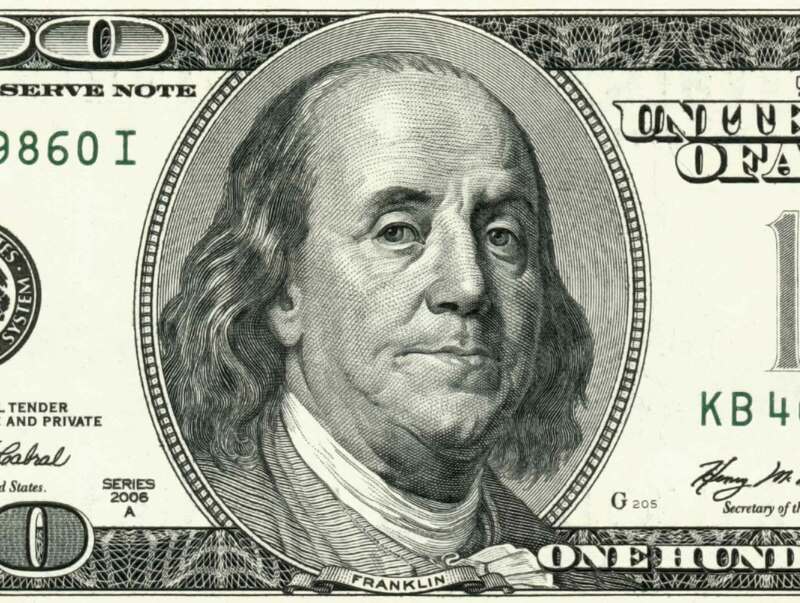 Each of the 5 vector shapes were assigned with layer effects to simulate the colors found in the actual 100 US bill albiet with more vibrance. The image blow shows the vector shape results when the image size is increased. You can find the tutorial which creates a vector composition from the Franklin 100 US Dollar bill here. If you would like to see how this, and other, graphic results are created then head over to the tutorial section where you can find detailed walkthroughs which reveal the specific recipe of Stipplr Actions required to achieve popular forms of graphic art. Want more? 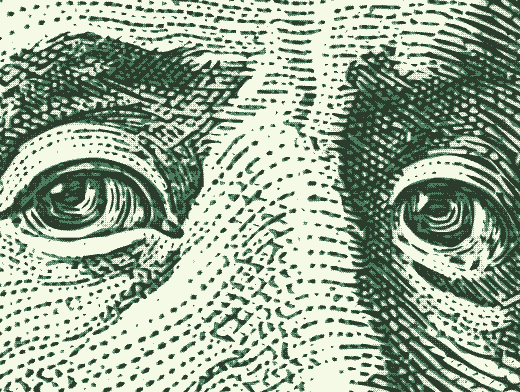 You may also want to read another post which digs deeper into how Stipplr Actions work.